I have to admit, I’m the kind of girl who makes shoe contact before I make eye contact. In my opinion, there’s almost no greater fashion crime than ruining a killer outfit with a lack luster pair of shoes. I don’t want any of you lovely ladies settling for less when it comes to your summer sandals and flip flops, so I’ve called on the help of Tavi, one of our shoe buyers at Glik’s, to provide some shopping inspiration and share her must-have footwear choices for the season. These feminine, multicolored sandals are just what you need to take any outfit to the next level this season. Featuring a tie-dye inspired pattern and gold chains, these summer sandals by Bamboo are a necessity. If your outfit is more casual and laid-back, then these Dirty Laundry Sling Back Sandals are the perfect option for you. Whether you’re taking a trip to the zoo or having a shopping day with your besties, you’ll feel cute and comfy all day long. 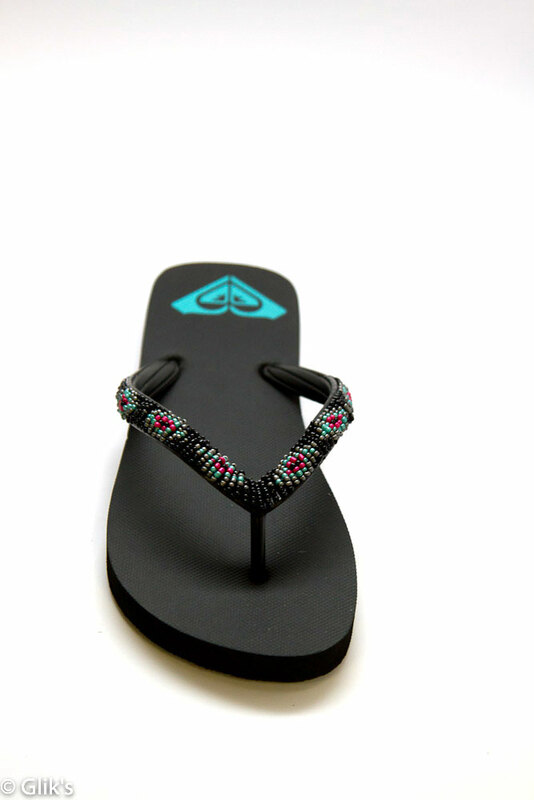 For dressy occasions that require a little more flair, these Multi Color Beaded Sandals by Not Rated are the way to go. The heavily embellished upper features an array of colors that provide versatility when pairing these summer sandals with any outfit. 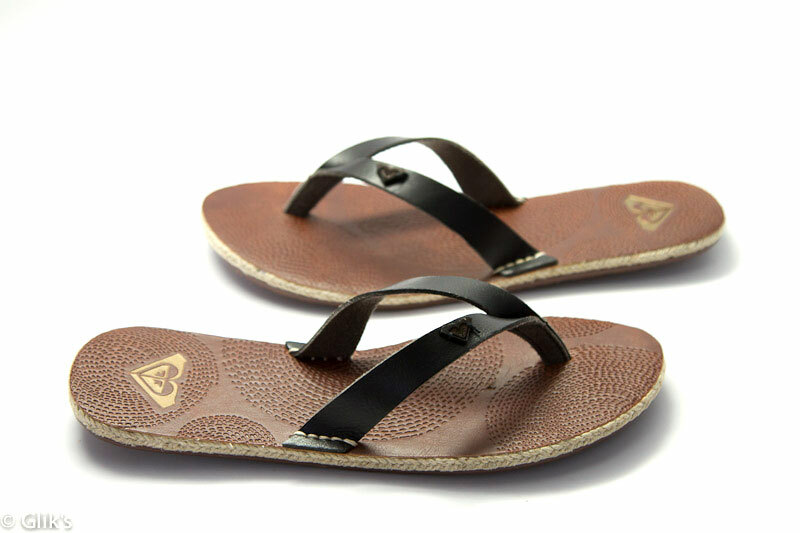 Every girl needs a trusty pair of flip flops for relaxed days when you just don’t feel like getting dolled up. However, just because you’re having a lazy day doesn’t mean you have to completely sacrifice your style. 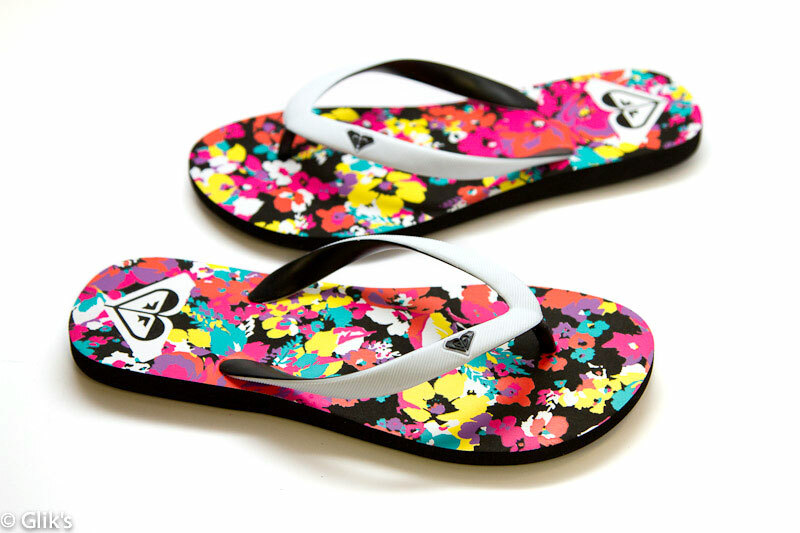 These Mimosa Flip Flops by Roxy can add a fun pop of color to any dull outfit. I appreciate a comfortable pair of flip flops almost as much as I appreciate a killer pair of heels. These Sanuk Yoga Chakra Sandals are both vegan and vegetarian friendly and provide a blister-free fit. Seriously, invest in a pair of Sanuks this summer. Your feet will thank you. Sizzling Summer | What’s In Your Beach Bag? Summer is in full force, and I am ready to hit the beach! Aren’t you? I’ve got my beach bag packed, and I’m ready to go. The #1 beach essential is a great bag, so grab your largest tote, ladies! The bigger the bag, the more essentials you can take with you. My beach bag has all of my go-to items for some fun in the sun, plus more. My handmade straw tote is perfect for the beach because I can shake the pesky sand out of it once I am done. Don’t forget your beach towel! Remember, the bigger the towel the better. You want to make sure your beach towel provides enough room for you and your essentials, so sand doesn’t get on your most valuable items. Flips Flops are a definite must-have for the beach. The sand can be very hot and you’ll want to protect your feet. Also, you never know what could be in the sand. You want to avoid any cuts and bruises as much as possible. Shorts are always nice to have on the beach. When you’re done lying out and it’s time to run to the hotel, just slip on your favorite denim cutoffs. Fedoras and floppy hats are always nice to have with you on the beach. Blocking those harmful UV rays from your face is always important. Show off your personality with your favorite sunglasses. Sunglasses are the perfect accessory for the beach because not only do they complement every swim suit, they also protect your eyes from the sun. My favorite sunscreen to use is Sun Bum. They have multiple products that protect your skin and hair from the harsh sun and they smell amazing! Being sunburned is the worst, so I would use at least a 50+ SPF to avoid getting burnt. Don’t forget to grab your favorite magazines when lying out! I never get bored with my trusty People and Marie Claire magazines to catch up on the celebrity drama and get the scoop on the latest fashion trends! Music is a very important part of a great beach experience too. I know my cellphone has all my favorite music on it, so all I have to do is pack my headphones to jam out on the beach. Cellphones also take great photos. Be sure to capture all the fun with your family and friends to share on Facebook, Instagram and Twitter. Make sure you stay hydrated while hanging out on the beach all day! Drink plenty of water and make sure you avoid dehydration. Don’t let hunger ruin your good time! Bring a protein bar or fruit with you to the beach as a healthy snack. 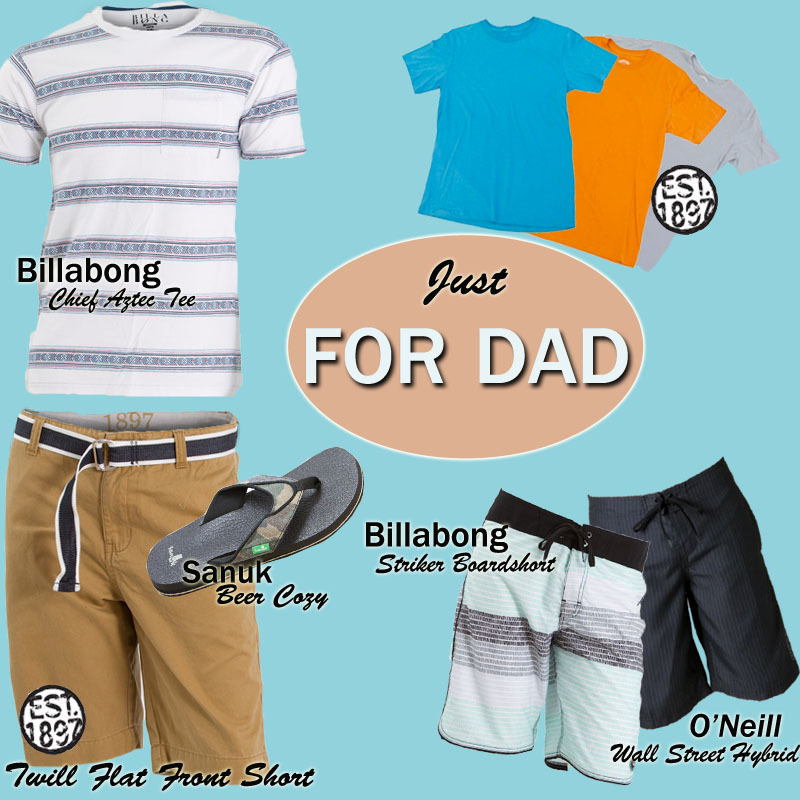 Glik’s is fully stocked and ready for you to shop for this summer’s men’s beachwear and accessories! Sun’s out guns out, right? Warm weather means it’s time for tanks. Go ahead and flex a little and shop Glik’s for our growing collection of men’s tank tops. 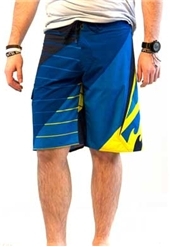 Glik’s has a variety of boardshort styles and colors to choose from. Grab yourself a pair of Hurley, Fox Racing or ONeill brand shorts perfect for everyday fun in the sun from swimming to a game of volleyball or just lounging catching some rays. So to survive this summer let’s make sure your shoe game is on point. 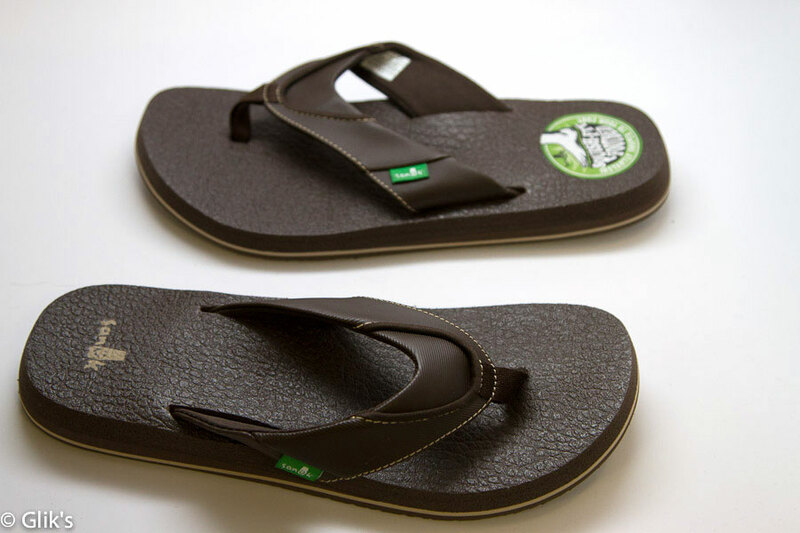 It’s going to be hot so keep those dogs cool with a pair of flip flop sandals. Not a fan of letting those hooves roam freely? No biggie. Glik’s has got you covered. A pair of Sperry Top-Siders or Vans will get you right. For those new favorite shades that you’re going to buy from Glik’s, make sure you grab a croakie to ensure you don’t lose those hater blockers. Trying to figure out the best way to transport your beer to the beach, keep them cold and not have to lug around a cooler? We have a solution and it just so happens to come in a variety of colors. Fill up a Burton Beeracuda and BYO-it to the beach by slinging those ice-cold brews right over your back. Shop Glik’s now for all your men’s fashion needs. Battle the heat this summer in your favorite cut off shorts and fashion forward sandals! There are TONS of styles to get excited about, but one constant you can count on is the gladiator sandal. 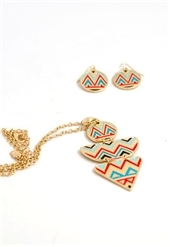 This style can be dressed up with rhinestones and metallic straps or made casual with basic earthy colors. Whether they stop at your ankles or have a mid-calf fit, gladiator sandals are a great way to kick off the warm weather season. We encourage you to get creative with your outfits this summer by adding a little boho charm to your sandals. You can make your own gladiator sandals with a simple pair of flip-flops and a fashion scarf. 1. First, you will need to lay the scarf out and cut it long ways. I folded it in half and lined up the edges in order to cut the scarf in a straight line. This is the scarf that I used. 2. Take both pieces of the scarf and fold them in half. It will loop around the toe post as shown above. 3. Fold the left side down to the right and the right side down to the left as pictured. 4. Twist the scarf and loop it around the straps of the flip flop until the strap is completely covered. Be sure to loop it up and under the strap. 5. Repeat steps on the other sandal. This is what they will look like after you are done. Now you can slip them on! 6. Cross the straps around the back of your ankles and tie off. You can twist the scarf to achieve different looks. And because there is no sewing, gluing, or knot tying in the construction of this gladiator sandal, you can reuse all the materials however you see fit! Check out our complete collection of red-hot sandal styles for this summer! We are slowly but surely transitioning over into a new season. Despite all of this crazy Midwest weather that we’ve been experiencing, our heavy, cold climate apparel is being packed away to make room for lighter layers. At some point as you start packing and unpacking you start to think about what add-ons you need to have in your wardrobe to complete your summer outfits. Personally I usually buy accessories, like a few new bracelets and rings, a super versatile pair of summer heels, flats and sandals, a light scarf, and a good jacket that I can transition easily amongst my outfits. Once you find your essential add-ons creating a summer look will be easy. Below are a few of my newest add-on additions. Above, the Golden Days thong sandal (only $9.90) from Charles Albert. A great denim jacket from Silver Jeans Co. that will work with any outfit. A summer scarf and our Glimmer of Gold gladiator sandal from Charles Albert. Accessories and white denim shorts are a must! I love our bright Knot Your Average neon necklace and stacks of cute beaded bracelets! Visit us on Pinterest for a ton of DIY bracelet tutorials! Summer add-ons are a must, and who can say no to $9.90 sandals? The sun is out and the weather is warm. It’s sandal season so pack away your warm boots and heavy shoes, and make sure that only your most stylish summer sandals are displayed up front and center in your closets! I’m a huge fan of showing my feet; the closer I am to barefoot the happier I am. Summer is the time of year when toes are meant to show! Ladies, paint them like they’re little works of art and display them in the most fashionable sandals of the season! But with so many sandals to choose from, how do you know which ones to choose? Roxy is a tried and true brand that is a summer favorite of mine. Quiksilver released Roxy in late summer 1990 as a brand born of the water and created for women. It initially made its début as solely swimwear but had such great success in its first season that Quiksilver quickly turned it into a women’s sportswear line. By 1995 Roxy had become so popular that Quiksilver decided to add accessories and eyewear. It was only logical that footwear would be added to the mix the following year. Thus, Roxy sandals, flip-flops and fashion shoes were born in varying styles, colors and mediums. 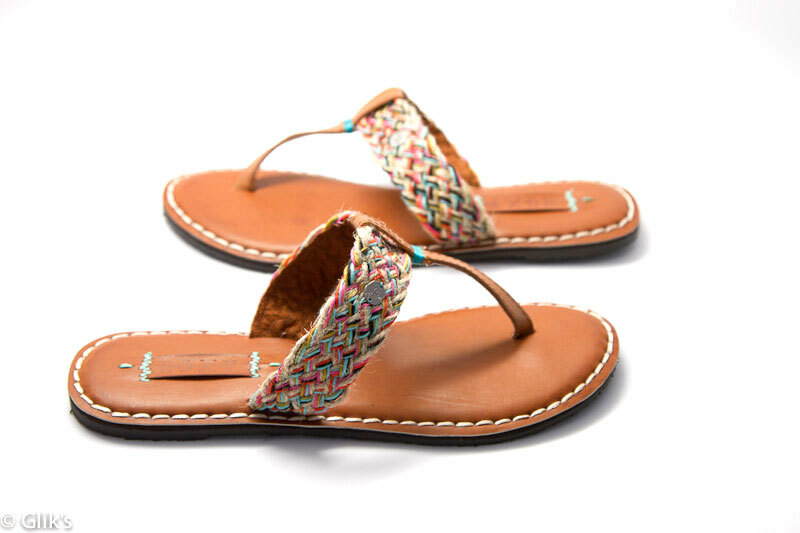 Being the fan of simplistic style that I am, the multi color braided fibers of the Roxy Mykonos Sandal give it a modest dose of color, which will match with any outfit of your choice! They’re perfect for a day on the beach that turns into a night on the boardwalk. The Roxy Santorini Sandal seen here and featured in black is even more basically chic, but the band of braided jute wrapped around the side of the sole gives them an extra earthy feel, making this sandal super versatile. 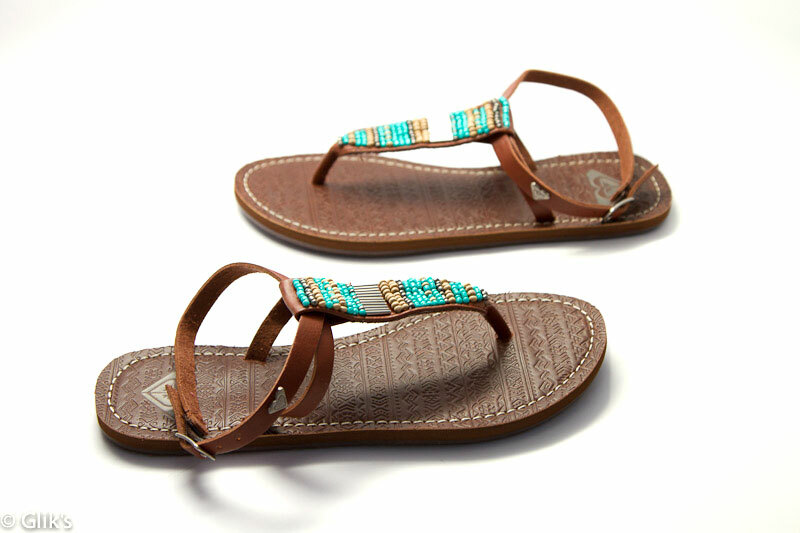 Not afraid to add a little embellishment; the Roxy Antigua Turquoise Sandal has a beaded design that turns it’s basic brown, faux leather upper into a key contributor to any pair of cut off denim shorts and flowy tank outfit. Keep your accessories basic and let the turquoise beading add the needed dash of detailing. Still a fan of the traditional rubber flip-flop, but want just a little bit more? 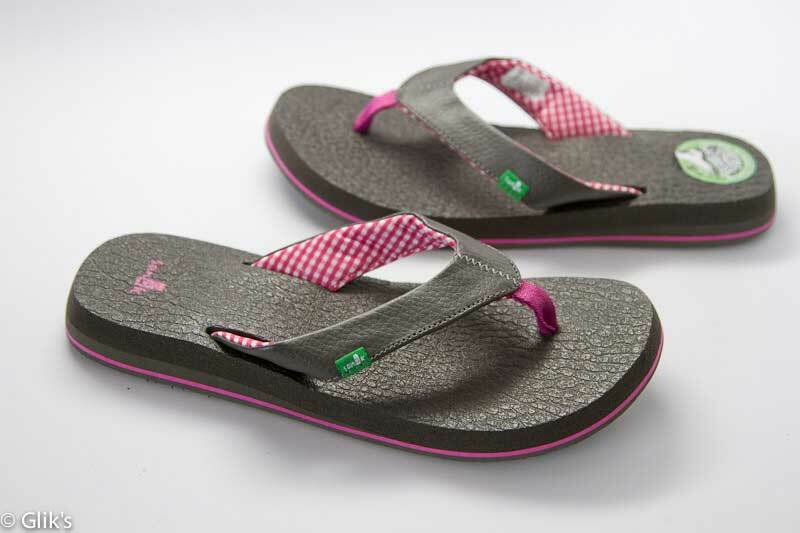 Roxy adds the right amount of color contrast to the footbed and embellishment detail to the rubber uppers of it’s basic flip-flops so that you’re guaranteed never to get bored. I would like to thank Roxy for so many years of fab flip-flops and sandals! Our toes appreciate you. Give your feet the fashion that they deserve, after all, who doesn’t love shopping? Be sure to look for any of these fab items online at gliks.com or visit a Glik’s store location nearest to you! Guess what? It’s flip flop time! Either box up your boots or push them to the back of your closet, because it is time to make room for tons of new pairs of oh-so-comfy Sanuk flip flops! 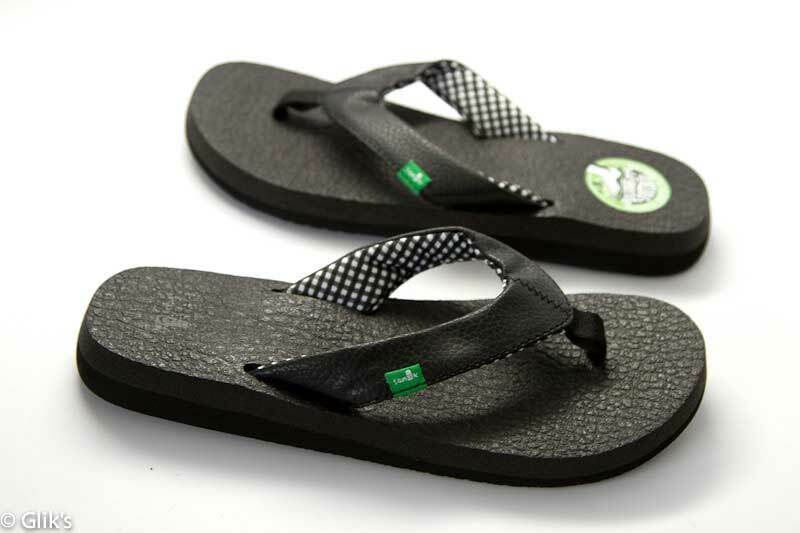 Best thing is that Sanuk has so many heavenly flip flop styles to choose from this spring/summer season. So, there should be no worries about being unable to color coordinate with your entire super trendy summer wardrobe. So, what’s cool about the woman’s Yoga Mat flip flops? Umm, how about the fact that the footbeds are made from real yoga mats! That’s right! All the comfort you have while you’re hard at work stretching during classes at the gym is available to go home with you, out to the park, on vacation to the beach or shopping at the mall… well you get the idea. And with a comfy synthetic leather upper that is lined with super soft printed jersey, your feet will be in flip flop bliss! 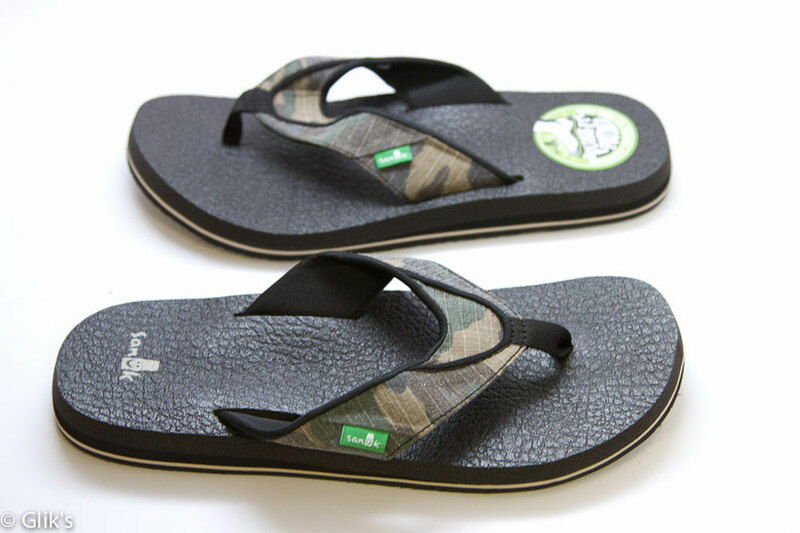 Oh, and the best part… the Sanuk Yoga Mat flip flops are vegan friendly. Who would’ve thought that beer could inspire such an amazing men’s flip flop? Their tags say “Freshly Brewed Comfort” and we agree. 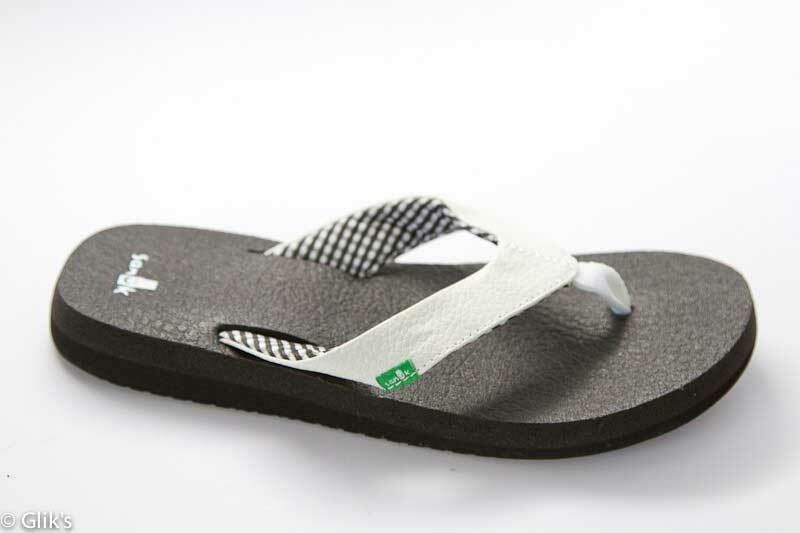 The Sanuk Beer Cozy flip flop is made with nothing but the finest flip flop ingredients. This includes a super squishy Yoga Mat EVA footbed and a Happy U Outsole. 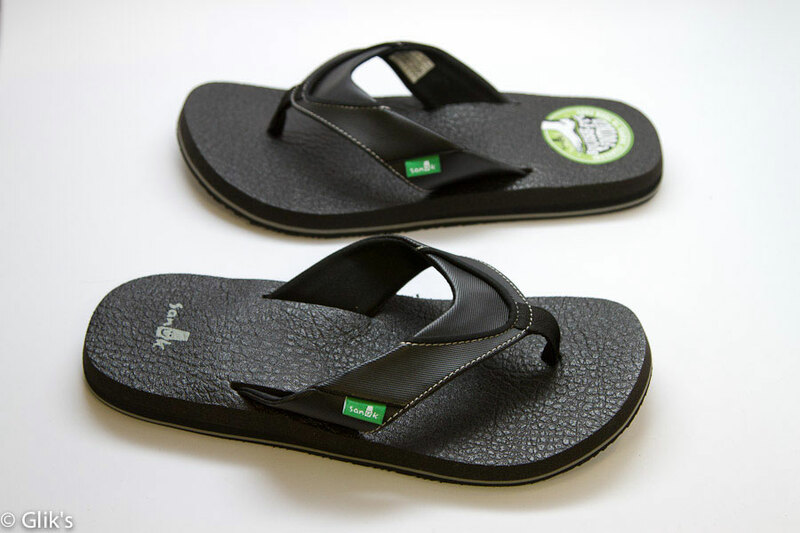 This vegan friendly flip flop also has a synthetic or textile upper strap with super soft jersey liner for ultra foot comfort. Hey guys, it’s okay to admit that you’ve dreamed of being as snug as a bug in a rug in your favorite beer cozy! We promise that the Sanuk Beer Cozy flip flops will make that dream come true! 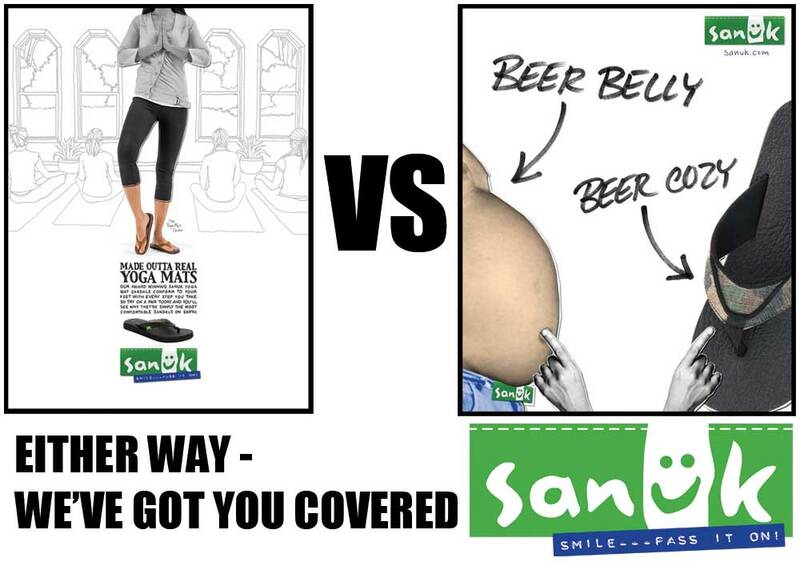 And as always, enjoy the Sanuk Beer Cozy flip flops irresponsibly, please. Remember: Always treat your feet to an especially super squishy pair of Sanuk flip flops! 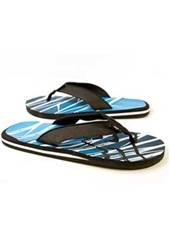 You can find any of these flip flops styles and more at a Glik’s store location near you or at gliks.com. Spring Break 2012 is upon us. Although most of your plans aren’t Facebook official yet, there are a few things you know you’ll have to pack along on your adventure to destination nowhere. Besides a cooler of chilled beverages, food to last you a week and enough beach towels to double as blankets you’ll need a bag of trendy new Spring Break apparel! We know you probably scrapped and saved enough money to cover your gas, beverage buying and recreational expenses, so here are some hot Spring Break clothes that won’t break your budget or empty you bank account! Body Con is big right now. So, what’s better than this super cute Billabong Once Was Body Con Dress to throw on over your freshly bronzed beach bod with a pair of strappy sandals like the Qupid Athena-427A Aztec Print Flat Sandal for an evening out. 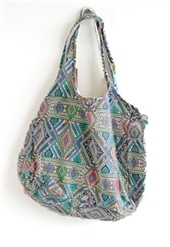 It’s easier to make your beach to street transition with a bag like the Billabong Nada Mas Beach Bag. Highlight your bright style & sun kissed skin with layers of chiffon chicness in this season’s hottest color Tangerine Tango. That’s right you bold fashionista, you’ll be dancing your night away in this super cute strapless chiffon dress. Don’t forget a pair of platform wedges in a fun print and to add vibrant gold accessories. Not forgetting the guys, one of this summer’s biggest trends is the Hybrid short. What is this you may ask? 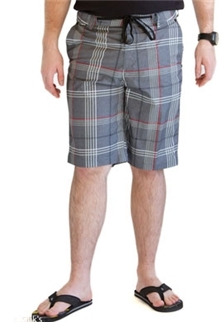 Well, it’s a short that can double as a casual walk short AND as a fully equipped boardshort. Another trend is high performance, eco-friendly clothing. 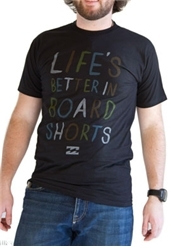 What’s better than wearing boardshorts & tees from your favorite brands as well as supporting a better environment? Let’s not forget a great pair of flip flips too! Spring break is always a blast. So, don’t forget to have fun, wear SPF and to visit us at gliks.com or any Glik’s store location nearest to you for all your summer needs! Style File: Boots Are In!!! It’s still August which means, contrary to the current temps, it is almost time to dig out our sweaters, jackets, and BOOTS. Fall weather tells you to pack up your sandals and flip flops, and forces you pull out your socks and start covering your toes! 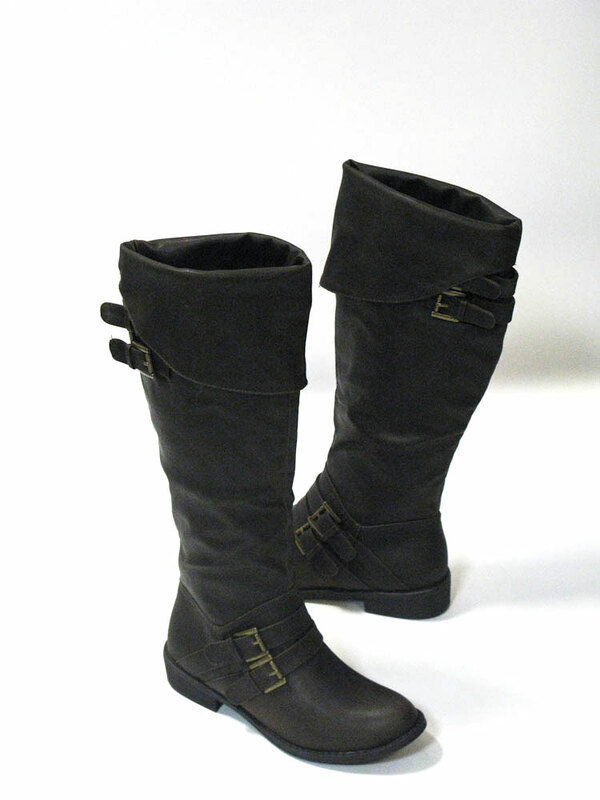 One of my personal favorite parts of fall fashion are BOOTS and this season’s styles are better than ever! Below you’ll find great new boots available in stores and online at www.gliks.com! 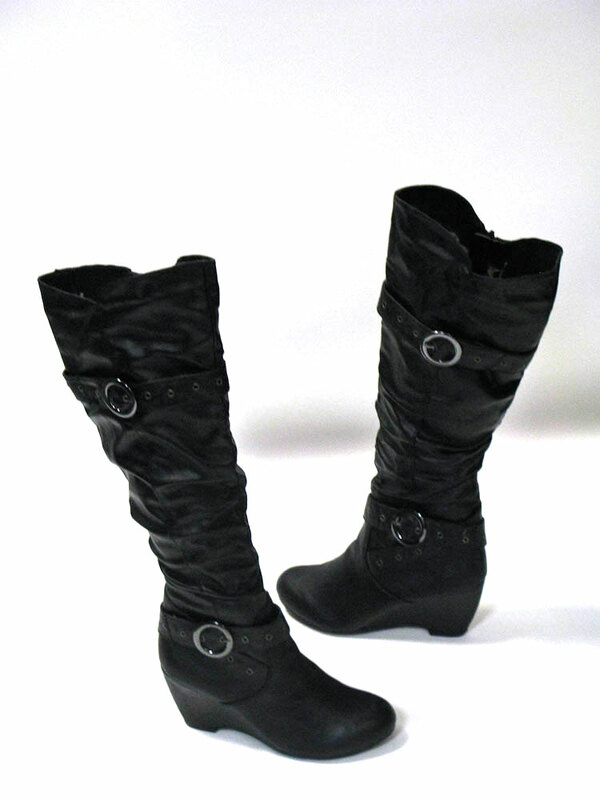 To get you in the mood for some BOOT shopping here are some of the new styles at Glik’s, ONE for everyday of the week! Perfect! 1. Case of the Mondays? Not when you’re wearing the “Asiana” Riding Boot! Miss the bus on purpose & hop on a Motorcycle in these! 2. Daydreaming of Friday Already? We are too in the totally versatile “Gerry” Riding Boot. Wear the cuff folded down at work and flip it up & loose the cardi for last minute happy hour or dinner plans! 3. Need a little Pick Me Up? 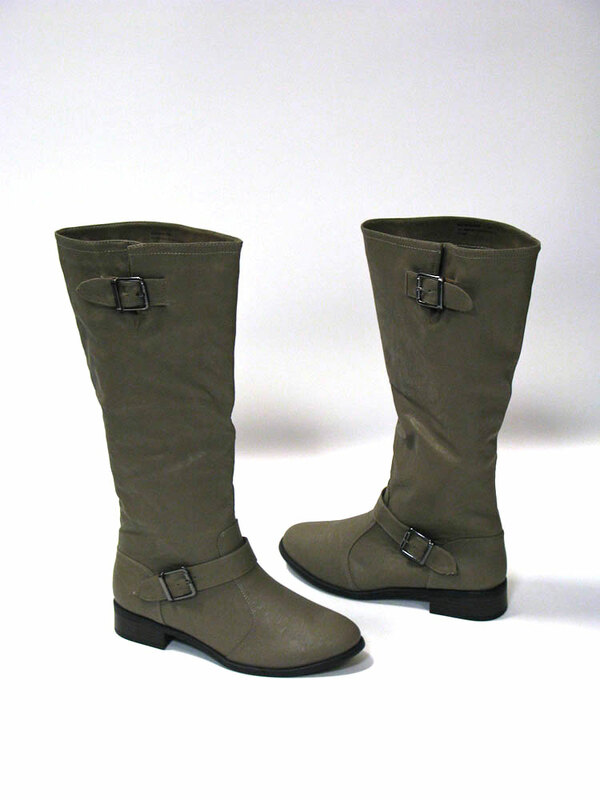 The 3″ wedge heel on the “Della” Boot will give it to you! Forget to finish your laundry? No worries these boots are easy to pair with just about anything you have in your closet (or on your floor) Shhh..we won’t tell! Happy Hump Day! 4. It’s Thursday, and you can just about taste the weekend… Need something to remind you of the fun you’ll soon be having relaxing, shopping, and dancing? May I present to you the “Camilla” Bootie. If you don’t have a pair of booties yet you are missing out! 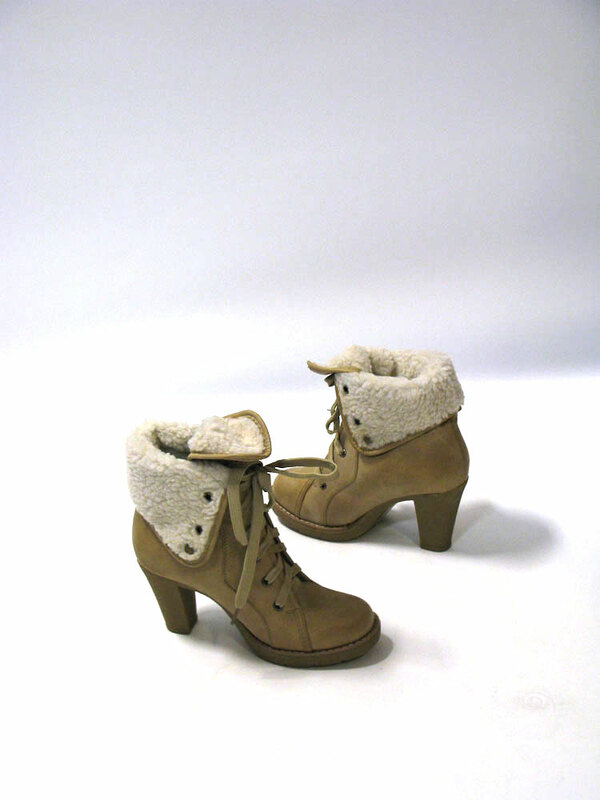 These have a sherpa-lined cuff that can be worn up or down, and also have an amazingly comfortable chunky heel. 5. Who said Fridays had to be casual? Slip into the “Agatha” Boot and you’ll be FAR FAR away from Casual Friday, and much closer to the weekend! 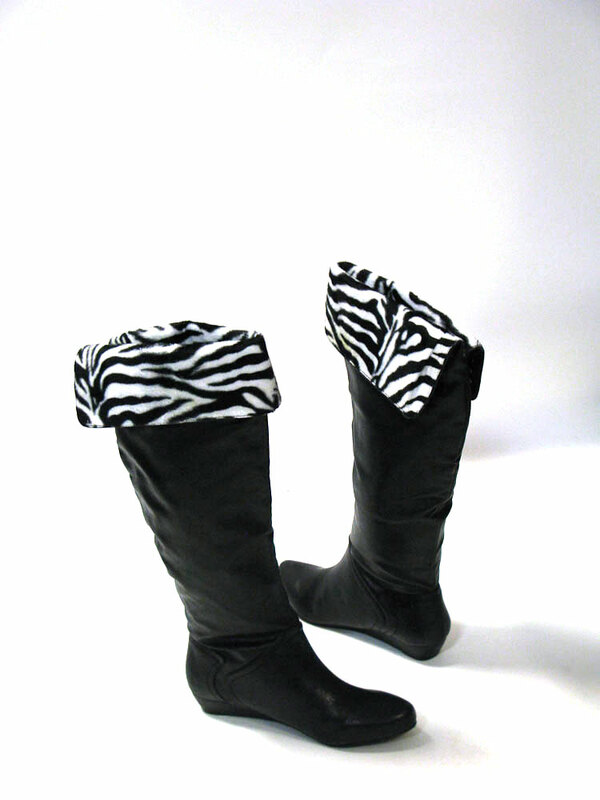 Anything animal print is super hot right now, so why not let your inner party animal out with these zebra-print cuffed boots!? Want to keep it simple.. fold the cuff up and the zebra-print pattern is replaced with silver studs!